Stefan cel Mare public garden will look different soon. A group of young architects and the responsible of the Agency of Monuments' Repair started a project to repair the park. The project provides the change of the sidewalk, replacing the banks and a decorative lightening. This concept has been presented to the Ministry of Education, Culture and Research. 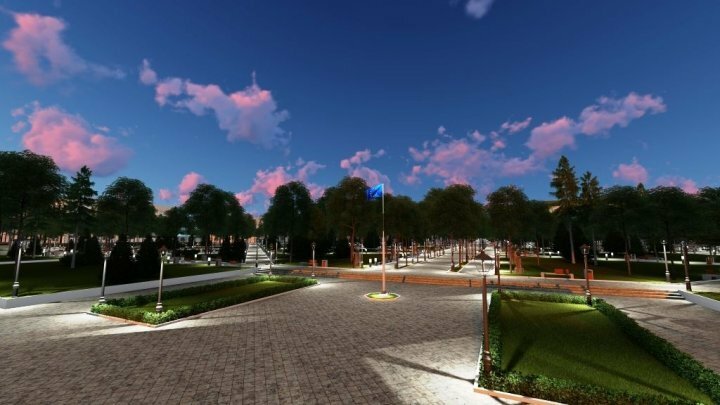 The project also targets to change over 20 thousand square meters of pavement, the green zone of the park will be extended by 10%, there will be planted some trees and over 600 banks will replace the old ones. At the same time, the street lamps will be repaired. The basin will be repaired and lightened. We want to renovate the Public Garden. Two new basins will be built. We want to arrange a zone of dry basins. These will be very useful when the temperatures will be very high. The responsible say that they didn't calculate the costs of the project yet. "We need to analyze this project first of all. Then, we need to talk with the representatives of the National Council of History Monuments within the Ministry of Education, Culture and Research. Then, we will start the second stage. After that we can approximate the costs", mentioned Ion Stefanita, expert in culture. We hope that the park will be a more pleasant place for the one who relax here. "The park looks good now, but it will be better." "There will be more flowers and basins." Regarding to the project, the work will start in March and will last until the end of the year.